It's the beginning of January and people are making or at this stage already breaking New Year's Resolution. I like the idea of making resolutions at the beginning of the year, a fresh start. But over the years I have learned it is more than a single decision at the beginning of January. In fact in a home with children it is inconceivable to make a New Year resolution once for the whole year. 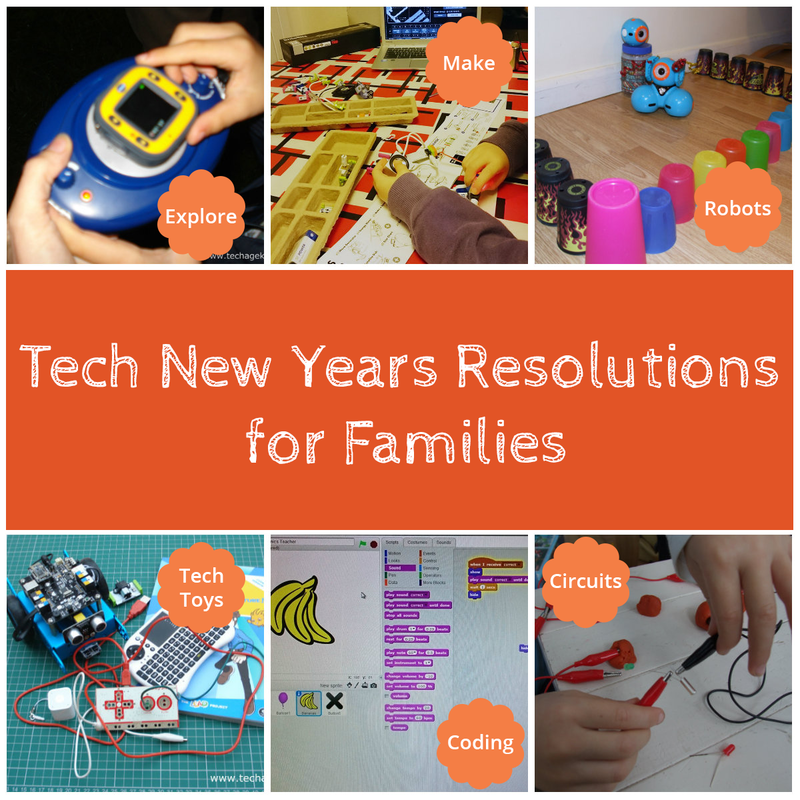 Perhaps 2016 is a series of resolutions to have an intentional approach with our kids and their tech. I am really excited about what I see around me in the digital world and I resolve this year to expose my kids to it. Every household will be different, depending on parent's background, interests and skills. 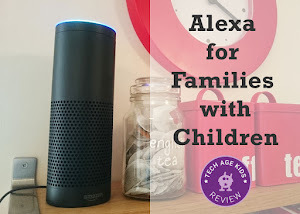 However making a decision to explore tech together as a family, and not using using it as a nanny service, has the potential to inspire kids to become the makers and creators of tomorrow's tech. It is safe to say, technology is here to stay. Tech is part of our every day lives, from school to home, work and even our playtime. When I met Tracy and started working together on Tech Age Kids, I realised just how creative tech can be. Now I'm learning to make with electronics and create with tech and robotics. The digital age is jam-packed with opportunities to be creative and learn new skills. My kids are growing up in this tech age, and instead of paining for days gone by, I've decided to embrace it and inspire them to explore and invent with tech. We don't worry so much about quantity of "screen-time" but rather the quality of their interaction with screens and technology. 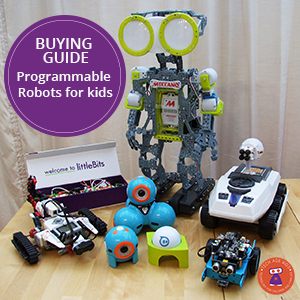 Kids can use screens to control robots, learn to code, design games and invent products. You simply can't do all of that with 30 min "screen-time" a day. You may ask, but where do I start. Like me, you may not come from a techie background. It can be really hard to know where to start, if you don't know and that is what Tech Age Kids is all about. 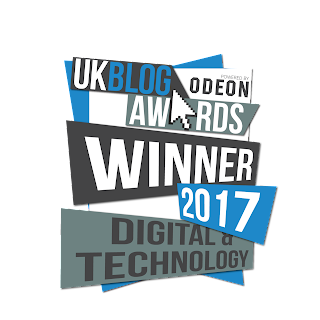 We help parents, grandparents and carers, find opportunities to explore tech with kids. I'm really lucky to work closely with Tracy and her family, they are a true tech maker family. It's awesome visiting their house, with it's 3D printers, robots and gadgets and gizmos. It could be you know another family or friends who tinkers with tech. Arrange a play date and learn together. I was really inspired by an old TED talk of Matt Cutts, a technologist, - Try something new for 30 days. Fear and the unknown stops us from trying something new. Perhaps resolve to explore a different part of technology each month this year. 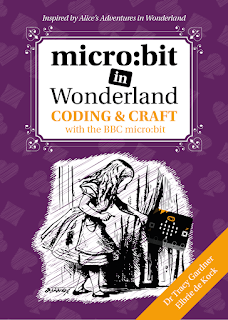 Play a game on the tablet together, make a project in Scratch, learn how circuits work, build your first robot. The possibilities are endless. Kids are natural inventors and when we, as parents take an interest, opportunities can open for new skills and learning. In our busy lives, it can be so easy to forget to spend quality time together. Kids love it, when parents engage with them, play games and make things. I try and create time, where we would work on a project together as a family. I remember growing up my parents encouraged us to make things. We made toys out of wood with my dad, and I sewed my own clothes with my mom. I love crafting and since my kids were small did various craft and making activities together. Make 2016 the year you turn the kitchen table into a tinker lab and make stuff. I hope you are inspired. We'd love to hear what you plan with your family and tech in 2016.